After the successful uptake of our 12 Month Student Membership, we have decided to launch a brand new 6 Month Student Membership – perfect for those of you who are graduating and leaving Lancaster this summer. Perhaps you’re living off campus and looking for something a bit closer to home, maybe you want to take out the dissertation stress or just need a gym that doesn’t charge a fortune. We can’t give you a 2:1, we can’t write your dissertation and we can’t guarantee you a graduate job when you finish. But what we can do is get your fitness in tip top shape ready to face life after university. Plus, now’s a good time to start burning some calories – I hear a Goburrito has just landed up on campus? For just £80 we are giving you off-peak gym and all of our morning classes (6am to 12pm) – including Weight Lifting, Boxercise, Kettlebells, Boot Camp and High Intensity Interval Training. Check out our time table, here. All of our classes are taken by fully qualified Personal Trainers who know exactly how to undo a heavy night in Sugar and leave you feeling fresh, fit and fantastic ready for an afternoon full of lectures and seminars. Our fully-fitted gym has a range of equipment such as cardio machines, weight resistance machines and free weights. We also have a fantastic variety of functional/individual equipment, including medicine balls, bands, dipping bars, boxes, Swiss balls, boxing bag, sand bag, ropes, tires, ladders, hurdles and a TRX. To get your student gym membership, sign up on our website here. Alternatively, pop in to see us, have a look around and sign up with cash or card. There’s no sign-up fee to worry about and we’re confident you’ll love what we have going on. Give us a bell if you want to know more 01524 389616 or fill out the form below. Off-peak not for you? No problem! 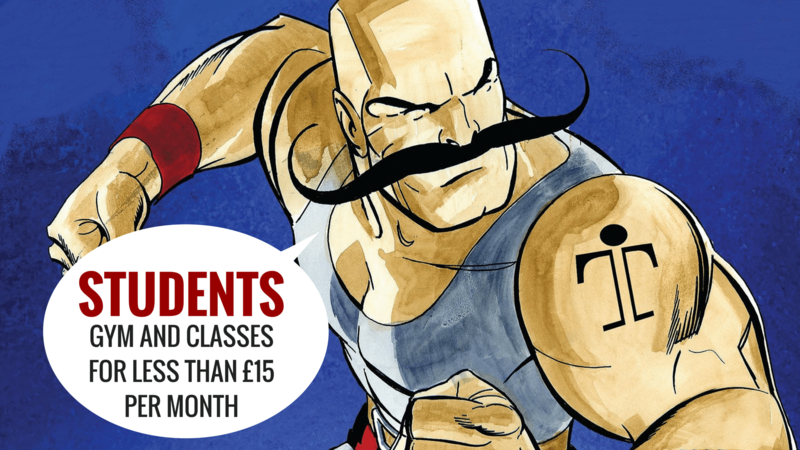 Check out our standard month only memberships (no sign-up fee) and bag yourself a generous student discount, here.